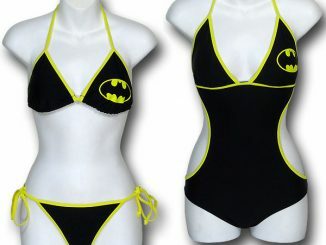 This past week GeekAlerts showed you the Batman Bikini & Monokini Swimsuits and we thought it was only appropriate that Supergirl and Wonder Woman fans get to enjoy the beach in the same stylish fashion. 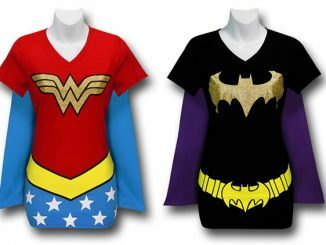 Choose between four different Supergirl & Wonder Woman themed Swimsuits and make this summer one to remember. 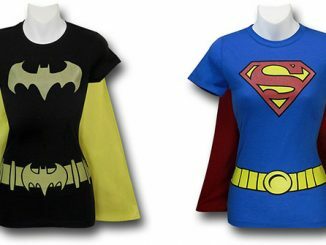 All four swim suits are designed in themed inspired colors with matching superhero logos. The bodies of the suits are made from an 80% nylon and 20% spandex blend, while the interior lining is made from 100% polyester. 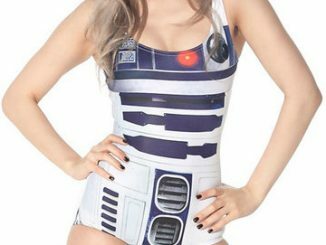 Whether you choose to go with the monokini, string bikini or the halter top bikini, you’re sure to be the hero of many beach goers this summer. 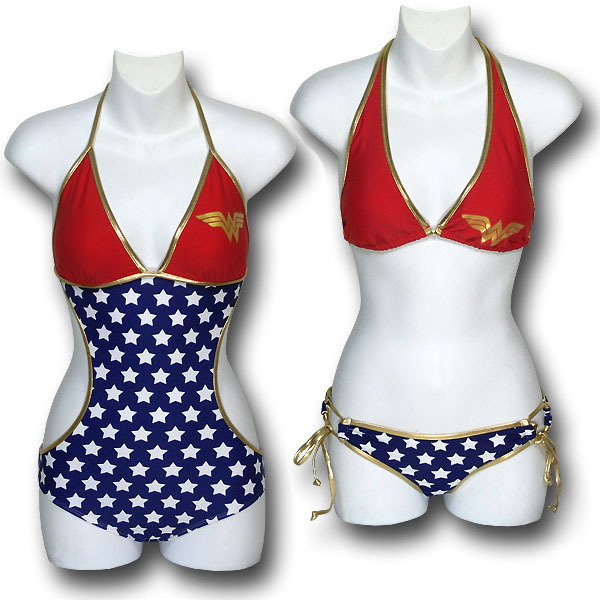 One piece, monokini swimsuit features a gold and red, Supergirl symbol adorning the left breast-cup! This one-piece Supergirl swimsuit also features a subtly padded chest, gold-foil trim and lining, and elastic, gold-foil string-ties for a comfortable fit! OH! And the lower back is adorned with yet another Supergirl symbol! Supergirl bikini swimsuit set features a red and gold Supergirl symbol adorning the left side of the top, as well as the back of the bottoms! This Supergirl Bikini set also features a subtly padded chest, gold-foil trim and highlights, as well as elastic, gold-foil string ties for a comfortable, adjustable fit! 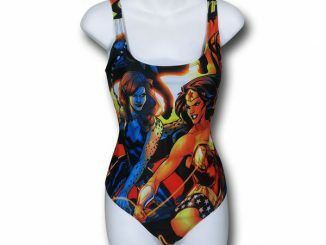 One-piece swimsuit for women features a red top adorned with a golden Wonder Woman symbol! Star spangled torso that also happens to be sporting a Wonder Woman symbol on the lower back-area. This one-piece Wonder Woman swimsuit also features gold-foil trim and highlights, as well as gold-foil, elastic tie-strings for a comfortable fit! Wonder Woman bikini swimsuit features a red top and blue, star-spangled bottom, each adorned with a golden Wonder Woman symbol! This Wonder Woman halter top bikini set also features gold-foil trim and highlights, as well as elastic, gold-foil string-ties for a comfortable fit! 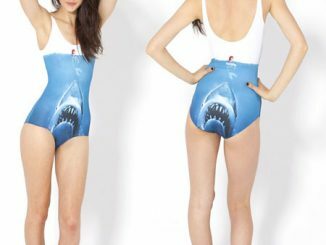 All four swimsuits are available in sizes small -XL. Purchase the Supergirl String Bikini Set for $42.99, the Supergirl Monokini for $47.99, the Wonder Woman Halter Top Bikini for $42.99 and the Wonder Woman Monokini for $47.99 at Superherostuff.com.